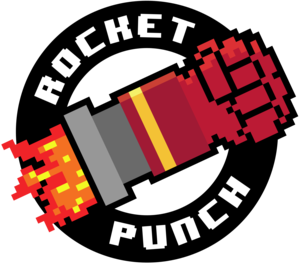 Maybe this is your first time checking out Rocket Punch, or maybe you already have our site bookmarked. Either way, the first thing that we want to say to you is: Thank You. Thank you for taking the time from your schedule to swing by and see what this whole Rocket Punch thing is all about. Whether you are a first time viewer or a long time fan, we cannot say thank you enough. You experiencing our content is what keeps us going, and we could not be more appreciative. When we started this initiative back in 2015, we had no idea what we were doing. At the time, the four of us in the "crew", as we like to call ourselves, each had individual skills, but had never tackled anything like this before. But we had drive and passion for creating something, and from that, Rocket Punch was born. Since then, we have brought podcasts, videos, streams, articles, and so much more to people all over the Southeast US, the country, and (hopefully) even the world. But, then things changed. We had less people actively helping on the project. Content seemed to come out slower and slower. It felt like we weren't communicating as effectively as we could have been to our fans. So, a few months ago, we decided to change that, and created a plan to become "more". But what does that mean, to become "more"? We sat down and looked at what we were doing, and figured out ways that we could become more enlightening, more entertaining, and more impactful, not only within our content, but also within the community that surrounds us, from Huntsville, AL, to the entire Southeast US, and beyond. We then realized that we had to evolve a bit to do what we wanted. In some places, that meant creating and learning new things. In other places, that meant getting rid of things we had used before. For some, it meant we needed to make things bigger. In others, it meant we needed to make things smaller. But we knew that making these changes would allow us to become more than we ever were before. So we worked towards that, and we believe we have achieved it. And most importantly, we intend to bring more focused, polished content to people across the region and beyond, regardless if they are a subscriber or not, so that they can be proud and excited of the entertainment we bring each and every day, so everything we do is in an effort to support that. It has been an awesome 2 years working on Rocket Punch for us. It has been fun, tough, thrilling, hard, easy, exciting, and so much more, and we would not have it any other way. These past 2 years have taught us a lot about what we want to create for every fan out there, and moving forward, we intend to use that knowledge to become "more", not only for ourselves, but also for everyone consuming our content. It has been a pleasure to serve you, and we will continue to become "more" for you.